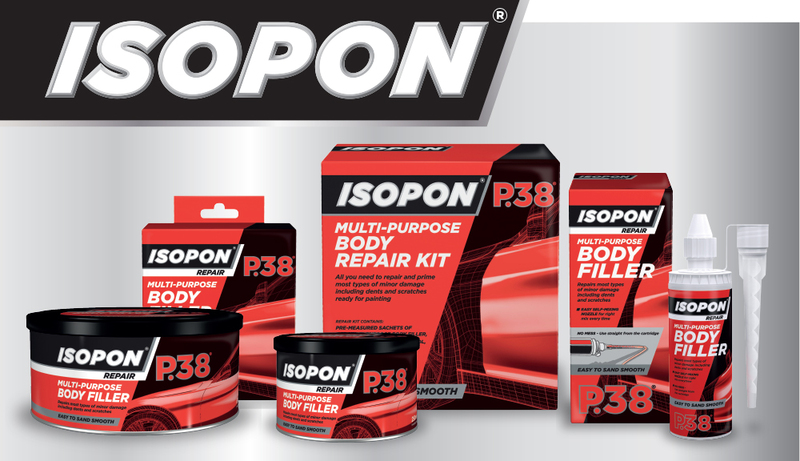 The Isopon brand had a core group of loyal followers (car enthusiasts) so our challenge was to develop new packaging that would reposition the brand, updating it and making it salient with a wider group of consumers. 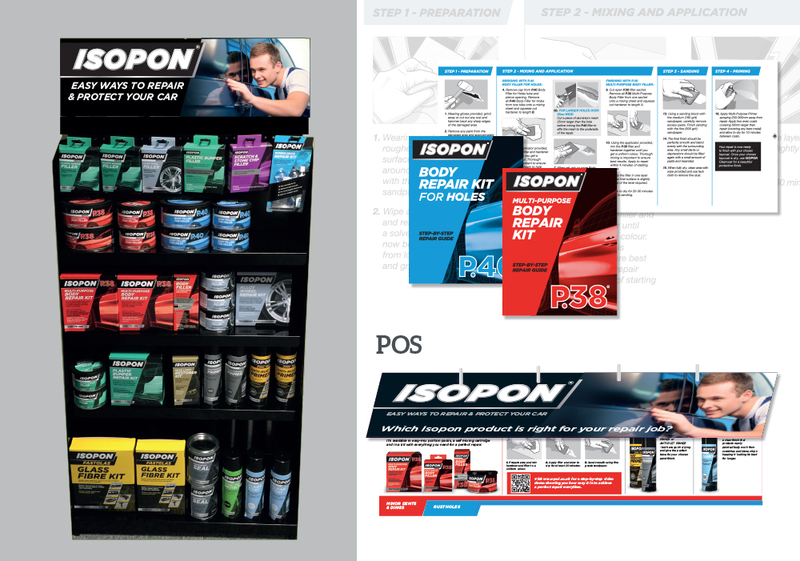 Our key objective was to communicate the usage area, key benefits and ease of use to novice consumers who had never undertaken a car repair before. We segmented the range into Repair, Prime and Protect, making it easier for consumers to navigate and encouraging a system approach. 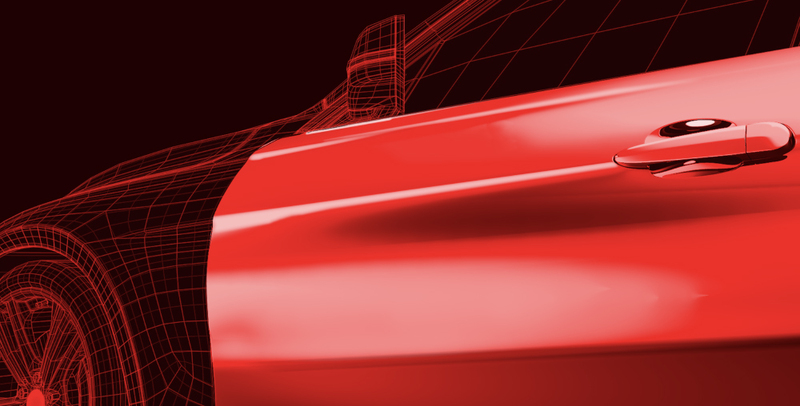 The wire frame car device along with strong colour coding is used across the range to communicate the usage areas of the products. 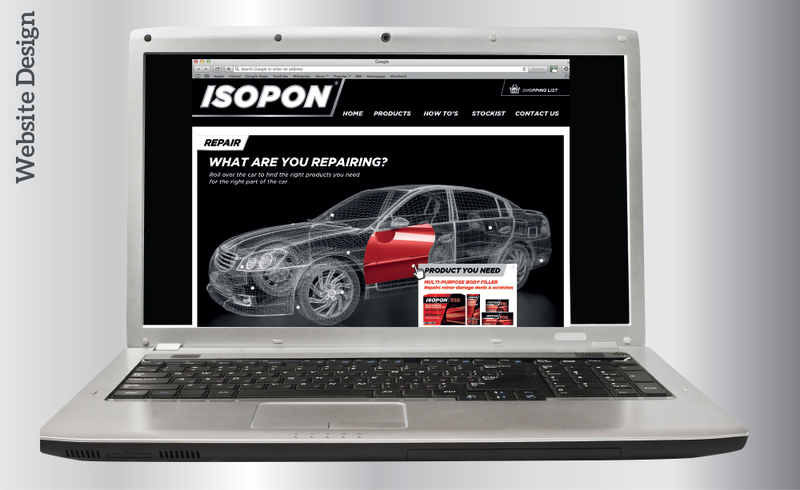 This is also used on the website and other communication materials and has become a strong, recognisable Isopon asset.